THE HAGUE, WILLEMSTAD - The government in Curaçao must answer all questions from the Parliament in The Hague about the gaming sector on the island. 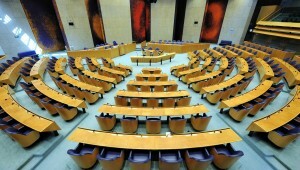 That is according to a majority of the Second Chamber of the Dutch Parliament. The Minister of Kingdom Relations Ronald Plasterk has to send more than 100 questions asked by Dutch MPs to the Curaçao government. Most of these questions come from the MP for the Socialist Party Ronald van Raak. Van Raak indicated that he doesn’t like the answers he received from Plasterk. The MP now has the support of the ruling party VVD and the Labour Party PvdA to have the Curaçao government answer these questions. Van Raak believes that the gambling sector in Curaçao is illegal and that the public company UTS is involved in it. He also believes that the KPMG is supporting UTS in this business.